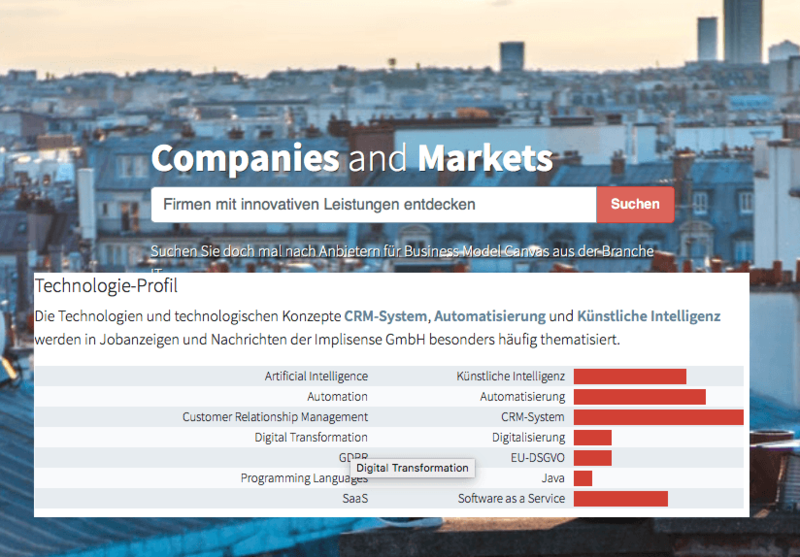 Only a few weeks ago we presented the free public profiles on the platform Companies and Markets: clear and informative company dossiers at a click – including simple graphical presentations. Part of this free offer are also the technology profiles available for many companies. 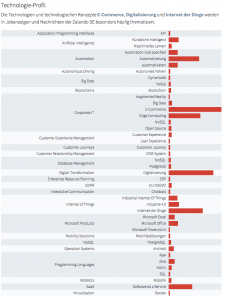 These illustrate how often certain technologies are mentioned in connection with a company. For this purpose, an algorithm evaluates countless online sources – including, for example, concrete job advertisements – and weights them based on the frequency with which the various technologies can be assigned to the respective company. Companies and Markets technology profile helps you identify opportunities for your sales. For example, if your company offers innovative software, it is very valuable to know which systems are currently in use with a potential customer. If, for example, your solution has a convenient interface to software that is used throughout the company, you will immediately have an excellent sales argument. However, if you are able to observe the daily updated data over time and discover that a competitor seems to have convinced this customer straight away, you better concentrate your resources on more promising leads. But even for a machine builder, it can be a valuable piece of information that a certain production company seems to be modernizing its production. In short: With the technology profile you get comprehensive insights at a glance, which at best could have been obtained from a human discussion partner on the customer side after many detailed discussions. It is probably not worth it for you to rely on a customer or supplier who misses the essential trends in his industry. One way to anticipate this is to use the technology profile of Companies and Markets to see how future-proof your potential business partners are. Especially in the case of medium-sized companies, about which comparatively little is publicly published, you will quickly receive a lot of enlightening data. A bank’s corporate client advisor, for example, uses this information to support a planned investment. Or the buyer of a manufacturer who has to choose between different suppliers. Reduce the risk of default by working with promising business partners. The better you know your competitors, the better you can sharpen your own profile. Keep an eye on developments at other companies in your industry and draw the necessary conclusions for your own strategic orientation. What trends does the technological pioneer in your industry focus on? What does the market leader react to more slowly than you? And with what technological visions do your competitors advertise for highly competitive specialists? You can find the answer in the technology profile on Companies and Markets. If you evaluate the data under the right premises. 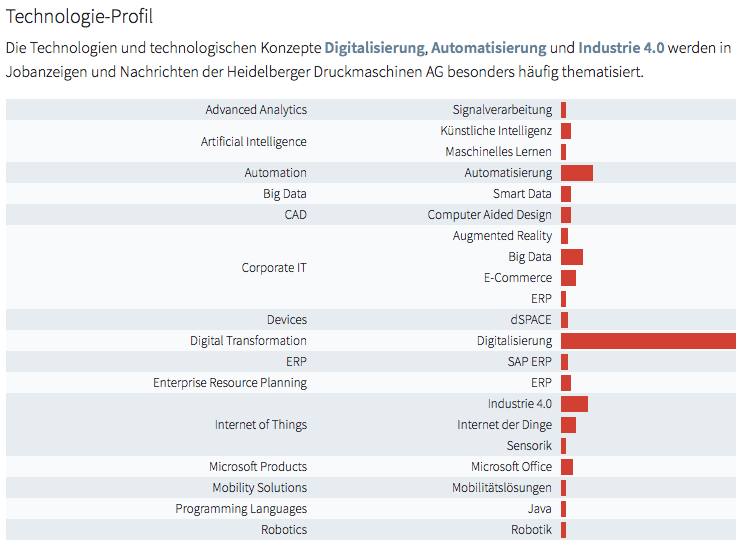 Talking about skilled workers: Not only for companies, but also for skilled workers willing to change jobs or career starters, the free technology profiles provide useful insights. Of course, they are also interested in an employer who works with state-of-the-art technologies. Potential employees in technology-related jobs in particular are able to see from this the significance that technology has for the potential employer. An interesting decision-making aid in the career market. Companies and Markets offers a lot of data for a fast but meaningful preparation of conversations. The technology profiles are among the most powerful tools on the platform – and can even be called up free of charge. Those who want to delve deeper into the research of the respective sources from which the data originates can do so with an optional premium account. Use the power of the technology profiles for your success now! 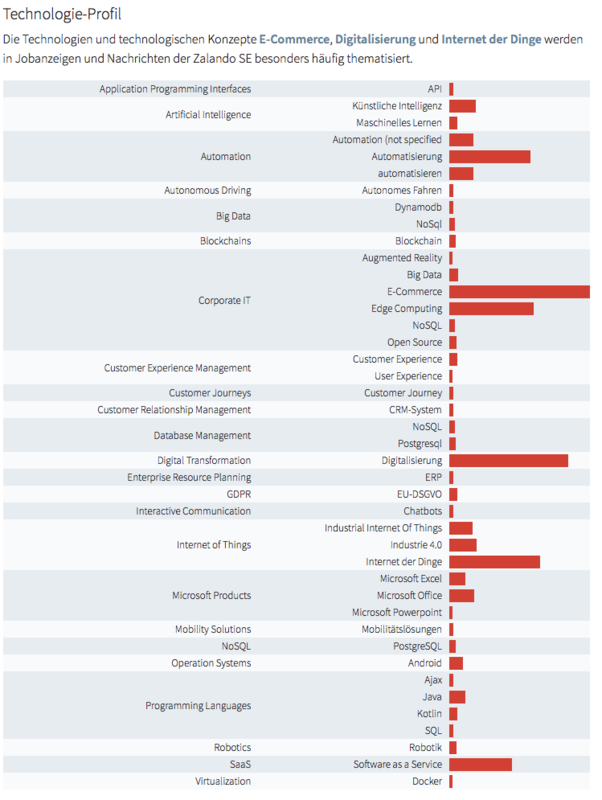 Here you can find an exemplary technology profile on companies-and-markets.com.